Many times we are required to find out solution of linear equations. 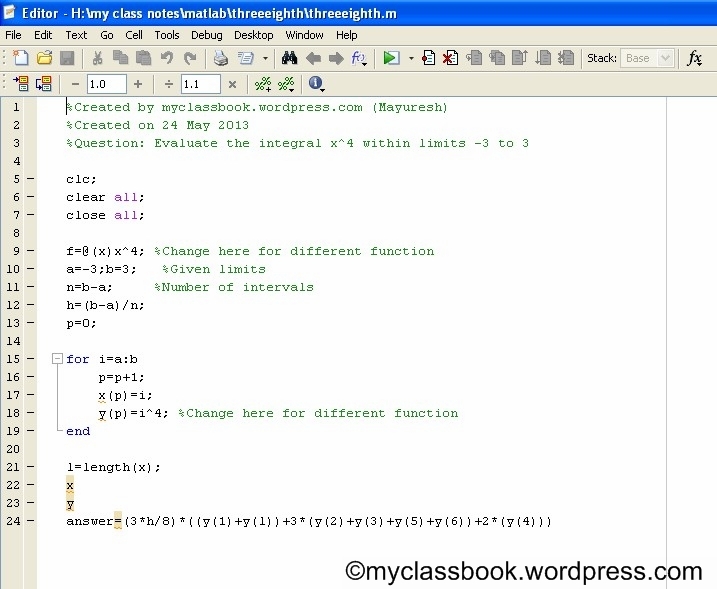 We also know that, we can find out roots of linear equations if we have sufficient number of equations. For example if we have to calculate three unknown variables, then we must have three equations. Many times we have solved such problems by eliminating one of the root and keep on decreasing number of variables. But in some cases it is not possible or it will take more time to solve. 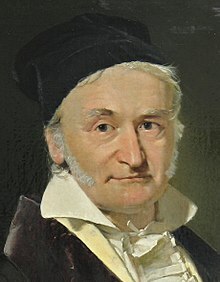 Gauss elimination method is one of the simple and famous methods used for finding roots of linear equations. Let us discuss this method assuming we have three linear equations in x, y and z. That is we have to find out roots of that equations (values of x, y and z). In this method we just eliminate ‘x’ from first equation using second and third equation. After that we get only two equations with two unknowns. Similarly, we then eliminate ‘y’ from first (among two equations that we get from last step) equation using second equation. Finally we get single equation in z having constant in its right side. Now we can find ‘z’, using ‘z’ we can find ‘y’, similarly ‘x’. Don’t get confused, I will explain each step clearly. From above three equations we are asked for finding values of x, y and z (values of a1, b1, c1,……..,d3 are given). Step 1: Eliminate ‘x’ from first equation using second and third equation. For doing this we have to subtract 1st eq. from 2nd eq. by making coefficient of ‘x’ (of 1st equation) equals to coefficient of ‘x’ (of 2nd equation). Similarly we have to do same thing for third equation. Step 2: similarly, we have to eliminate ‘y’ from 4th equation using 5th equation. We have to solve following equation. Step 3: Finally we have to put above value of ‘z’ in equation 4) (or (5)), then we get ‘y’. now we have two roots (y and z). put ‘y’ and ‘z’ in eq. (1) (or (2) or eq. (3)), we will get ‘x’. 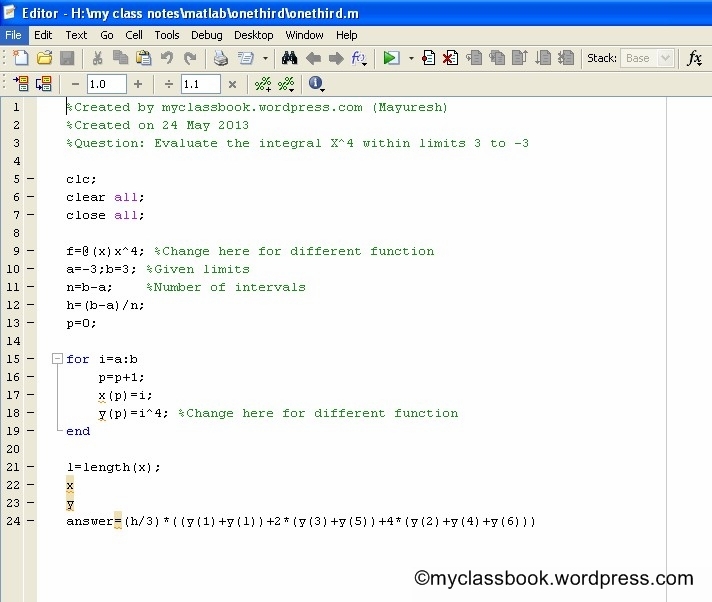 Find the roots of following equations using Gauss Elimination method. Lagrange’s Interpolation Formula is used to determine the value of any function f(x), which is known at discrete points. That is if we have any function with its value at different points such as, at x=0, 1, 2… So using Lagrange’s Interpolation Formula, we can determine the value of that function at any point. as we know Lagrange’s interpolation is a Nth degree polynomial approximation to f(x) and the Nth degree polynomial passing through (N+1) points is unique hence the Lagrange’s and Newton’s divided difference approximations are one and the same. However, Lagrange’s interpolation formula is very useful for the computer programming while Newton’s difference formula is convenient for the hand calculations. Evaluate the integral x^4 within limits -3 to 3 using Simpson’s 3/8th Rule. let ‘n’ be the number of intervals. assume n=6 in this case. Evaluate the integral 1/(1+x) within limits 0 to 6 using Simpson’s 3/8th rule. Evaluate the integral x^4 within limits -3 to 3 using Simpson’s 1/3 rd rule. Evaluate the integral 1/(1+x) within limits 0 to 6 using Simpson’s 1/3 rd rule. According to Simpson’s 1/3 rd rule. Evaluate the integral x^4 within limits -3 to 3 using Trapezoidal rule. Evaluate the integral 1/(1+x) within limits 0 to 6 using Trapezoidal rule. In everyday life, sometimes we may require finding some unknown value with the given set of observations. For example, the data available for the premium, payable for a policy of Rs.1000 at age x, is for every fifth year. Suppose, the data given is for the ages 30, 35, 40, 45, 50 and we are required to find the value of the premium at the age of 42 years, which is not directly given in the table. Here we use the method of estimating an unknown value within the range with the help of given set of observation which is known as interpolation. Given the set of tabular values (x0, y0), (x1, y1),…,(xn, yn) satisfying the relation y=f(x) where the explicit nature of f(x) is not known, it is required to find a simpler function say ? (x), such that f(x) and ? (x) agree at the set of tabulated points. Such a process is called as interpolation. If we know ‘n’ values of a function, we can get a polynomial of degree (n-1) whose graph passes through the corresponding points. Such a polynomial is used to estimate the values of the function at the values of x. Where ‘a+ph’ is the value for which the value of the function f(x) is to be estimated. 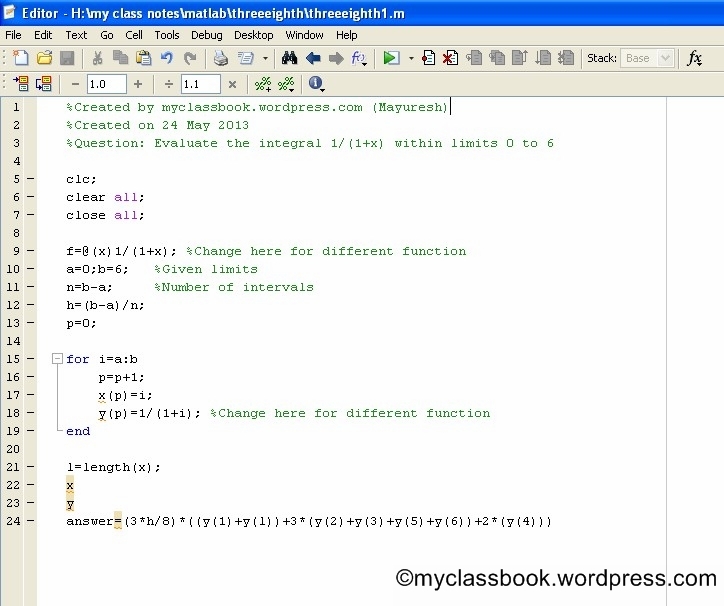 Here ‘a’ is the initial value of x and ‘h’ is the interval of differencing. The table gives the distance between nautical miles of the visible horizon for the given height in feet above the earth surface. Find the value of y when x= 218 feet. Introduction to Iterative methods: There are number of iterative methods like Jacobi method, Gauss–Seidel method that has been tried and used successfully in various problem situations. All these methods typically generate a sequence of estimates of the solution which is expected to converge to the true solution. 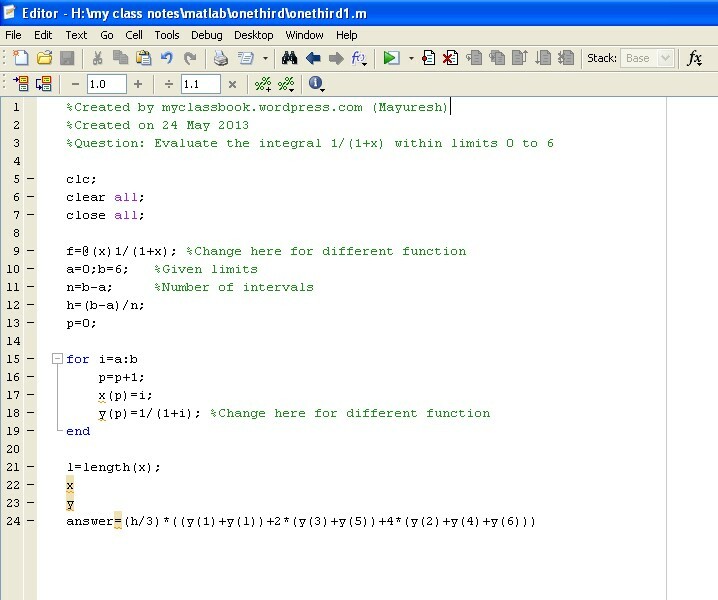 Newton-Raphson method is also one of the iterative methods which are used to find the roots of given expression. If point x0 is close to the root a, then a tangent line to the graph of f(x) at x0 is a good approximation the f(x) near a. So the root of the tangent line, where the line cuts the X-axis; x1 is the better approximation to a than x0 is. if x0 is sufficiently close to a, xn?a as n?8. If initial guess is too far away from the required root, the process may converge to some other root. Division by zero may occur if f’(xi) is zero or very close to zero. A particular value in the iteration sequence may repeat, resulting in an infinite loop. We have studied in the last article that, the preceding methods of solving simultaneous linear equations are known as direct methods as they yield the exact solution. On the other hand, an iterative method is that in which we start from an approximation to the true solution and obtain better and better approximation from a computation cycle repeated as often as may be necessary for achieving the desired accuracy. Simple iteration methods can be devised for systems in which the coefficient of leading diagonal is large compared to others. In the last article about solving roots of given simultaneous equations, we have studied Jacobi’s iterative method. Similarly, there is another method for solving roots of simultaneous equations which is called as Gauss-Seidel Iterative Method. 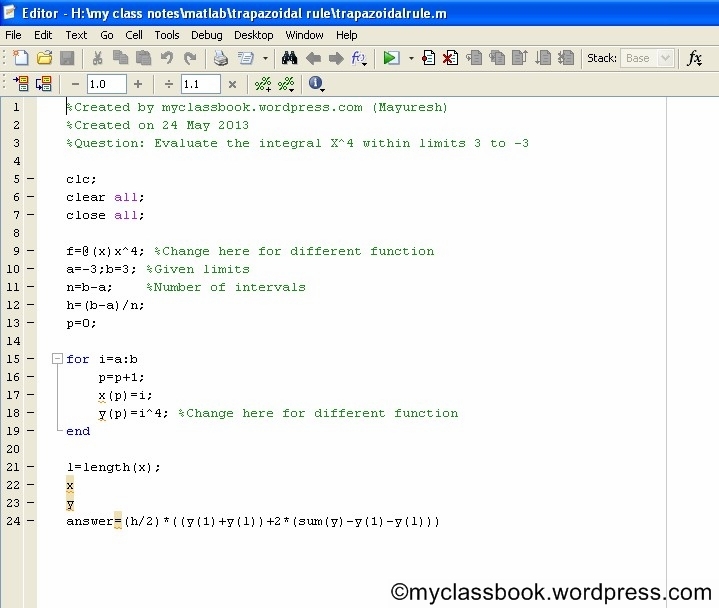 After that, we will see MATLAB program on how to find roots of simultaneous equations using Gauss-Seidel Method. Gauss-Seidel Method is a modification of Jacobi’s iteration method as before we starts with initial approximations, i.e. x0=y0=z0=0 for x, y and z respectively. Substituting y=y0, z=z0 in the equation x1=k1, then putting x=x1, z=z0 in the second of equation (2) i.e. Substituting x=x1, y=y1 in the third of equation (2) i.e. (z1) = (k3) – (l3)x1 – (m3)y1 and so on. As soon as a new approximation for an unknown is found it is immediately used in the next step. This process is then repeated till the desired degree of accuracy is obtained. Let us discuss Gauss-Seidel method by solving one simple example. 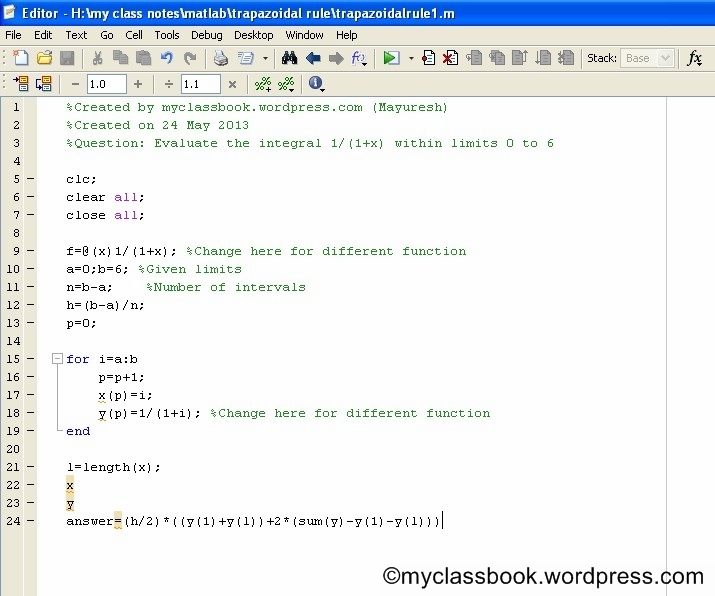 Find the roots of following simultaneous equations using the Gauss-Seidel method. we start approximation by x0=y0=z0=0. Now it is sufficient. If you observe above two sets of roots, they are almost same. The false position method or regula falsi method is a term for problem-solving methods in arithmetic, algebra, and calculus. In simple terms, these methods begin by attempting to evaluate a problem using test (“false”) values for the variables, and then adjust the values accordingly. False Position method is the oldest method for finding the real roots of an equation f(x)=0. Also, this method closely resembles with Bisection method. This is the first approximation to the root. If now f(x0) and f(x2) are of opposite sign then the root lies between x0 and x2, so by replacing x1 by x2. Similarly, we can obtain next approximations using same equations as above. After certain approximations (when two consecutive approximations are almost same) we will get our final answer. 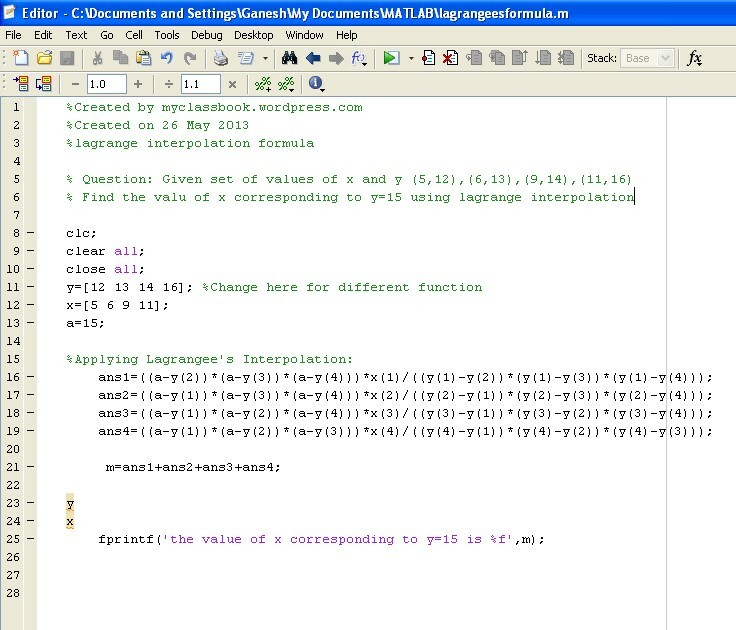 At the end of this article, we will see how to write MATLAB program for the False Position method. Let us solve one simple problem for clear understanding. Find the real root of the equation x^3-2x-5=0 by using false position method. Hence roots lies between (2.0813,3). Now, x9 and x10 are equal, therefore we can stop here. So our final answer is x=2.0945. 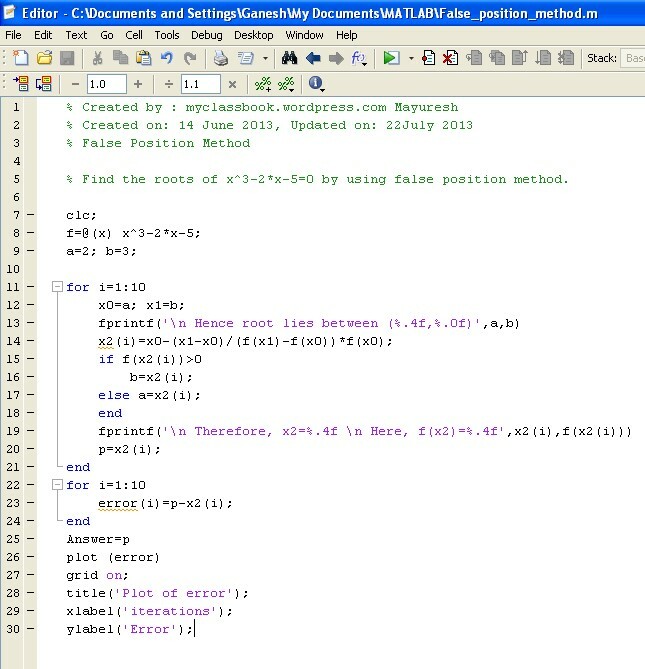 Click here to download the MATLAB program for false position method.